The Google Adwords & LiveChat integration enables you to check which of your AdWords campaigns result in chats on your website. What's more, it will allow you to see the chat conversion from clicks in your AdWords reports. Thanks to this knowledge, you will know which of your campaigns enjoy the highest customer interest. Google AdWords is an advertising program in which advertisers bid on a specific keyword for their ads to appear in Google's search results. You can start form any budget you want, thanks to which you can have a full control over your advertising spendings. What's more, the system helps you reach your target audience at the time that increases the chances of conversion. You can also personalize your adds and broadcast them only to users in a specific location (geotargeting). This will help you target people interested in your offers. To start a campaign, you need to choose a keyword and a cost per click (CPC) bid amount. The bids specify the maximum amount you're willing to pay each time someone clicks your ad. A higher bid can allow your ad to show at a higher position on the search results page. 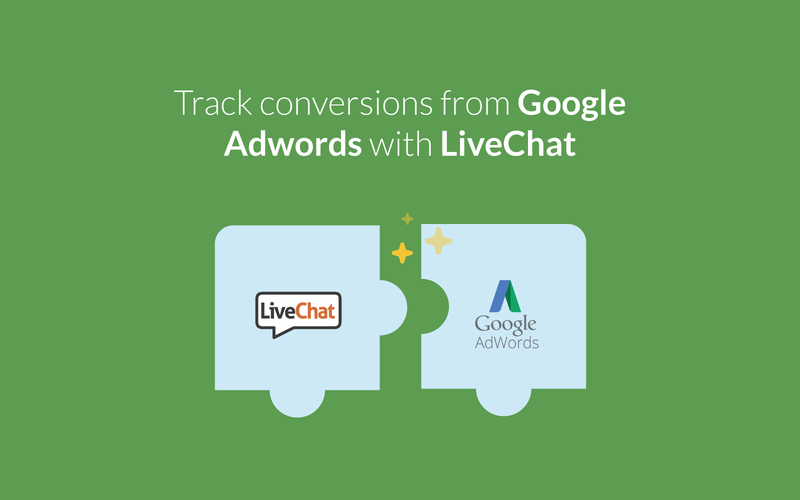 Integrate LiveChat with Google AdWords and see which of your campaigns resulted in chat. With just a few easy steps, you can see which campaigns generate more chats – use this knowledge to better target your customers' needs. You can see how many clicks converted into a chat in your AdWords reports. Take advantage of LiveChat archives and analyze chats transcript to understand your clients’ needs/requirements. Thorough knowledge about visitors will let you introduce proper adjustments that meet customers’ needs and help to boost your sales. LiveChat installation is dead-easy. You just need to implement its code on your website to benefit from the large potential of our application. Start using LiveChat with Google AdWords now!